“The last beachheads of uniqueness have been polluted if not turned into amusement parks–language tool use, social behaviour, mental events, nothing really convincingly settles the separation of human and animal. And many people no longer feel the need for such a separation; indeed, many branches of feminist culture affirm the pleasure of connection of human and other living creatures. Movements for animal rights are not irrational denials of human uniqueness; they are a clear-sighted recognition of connection across the discredited breach of nature and culture. Biology and evolutionary theory over the last two centuries have simultaneously produced modern organisms as objects of knowledge and reduced the line between humans and animals to a faint trace re-etched in ideological struggle or professional disputes between life and social science. Within this framework, teaching modern Christian creationism should be fought as a form of child abuse. The second leaky distinction is between animal-human (organism) and machine. Pre-cybernetic machines could be haunted; there was always the spectre of the ghost in the machine. This dualism structured the dialogue between materialism and idealism that was settled by a dialectical progeny, called spirit or history, according to taste. But basically machines were not self-moving, self-designing, autonomous. They could not achieve man’s dream, only mock it. They were not man, an author to himself, but only a caricature of that masculinist reproductive dream. To think they were otherwise was paranoid. Now we are not so sure. Late twentieth-century machines have made thoroughly ambiguous the difference between natural and art)ficial, mind and body, self-developing and externally designed, and many other distinctions that used to apply to organisms and machines. Our machines are disturbingly lively, and we ourselves frighteningly inert. The tools are often stories, retold stories, versions that reverse and displace the hierarchical dualisms of naturalized identities. In retelling origin stories, cyborg authors subvert the central myths of origin of Western culture. We have all been colonized by those origin myths, with their longing for fulfilment in apocalypse. The phallogocentrie origin stories most crucial for feminist cyborgs are built into the literal technologies – teehnologies that write the world, biotechnology and microelectronics – that have recently textualized our bodies as code problems on the grid of C3I. Feminist cyborg stories have the task of recoding communication and intelligence to subvert command and control. Whether or not we explicitly use this language or instead use code words that coincide with it, such as “subpersons,” “nonhumans,” “inhuman,” and so on, doesn’t matter. What is relevant here is that the organizing principle for racial logic lies in the human–animal divide, wherein the human and the animal are understood to be moral opposites. This model of the human is still in use today. So, in black reappropriation movements, activists effectively begin to disrupt the modern, imperialistic understanding of humanity. But because they leave the foundation untouched, the dismantling can never be complete. We need to go beyond the racial categories and subvert their anchor: the human–animal divide. 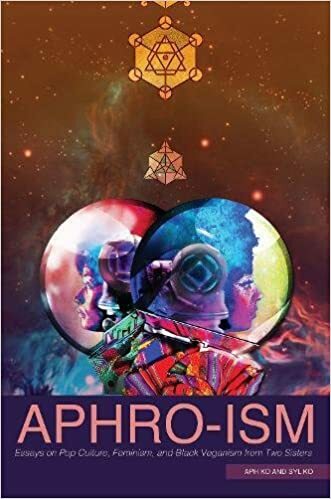 Aphro-Ism : Essays on Pop Culture, Feminism, and Black Veganism from Two Sisters. Lantern Books, 2017.